An ice-choked ocean, tens of thousands of whales, no proven technology in case of emergency and a mission for oil: what could possibly go wrong? You might have heard about “the sixth extinction,” the way at this moment species are blinking off at a historically unprecedented rate. The Arctic seas of Alaska, however, still are sanctuaries not only for tens of thousands of whales, but also hundreds of thousands of walruses and seals, millions of birds, thousands of polar bears, and innumerable fish from more than one hundred species, not to mention all the uncharismatic sub-sea life that eludes our eyes but makes up the food web—phytoplankton, sea urchins, sand dollars, and sea cucumbers, to name only a few. Think of the Arctic Ocean as among the last remaining marine ecological paradises on the planet. Add to this potential nightmare scenario another little fact: Shell has garnered a well-deserved reputation as “the company with the spottiest Arctic record.” In September 2012, it initiated exploration drilling in US Arctic waters with a conditional permit from the Obama administration, only to end a disastrous year in which one of its two drill rigs, the Kulluk, was grounded in the Gulf of Alaska on New Year’s Eve. The other ship, Noble Discoverer, suffered damage after catching fire, while both were fined by the Environmental Protection Agency for violating the Clean Air Act, and the contractor Noble Drilling pleaded guilty in 2014 to all eight felony charges leveled against it for environmental violations and agreed to ante up $12.2 million in fines and community service payments. Because of the damage to its rigs, Shell was forced to give up its 2013 drilling plans. A court ruling in January 2014 in favor of local Iñupiat tribes and environmentalists forced the company not to drill that summer either. Since then, the price of oil has plunged, sending a shock wave across the oil industry and deep-sixing all sorts of prospective plans planet-wide to drill in Arctic waters: Norway’s Statoil shelved its 2015 drilling plan in the Barents Sea off that country’s northern coast and handed back the three leases it had purchased in the Baffin Bay off the west coast of Greenland. Chevron put its plan to drill in Canada’s Beaufort Sea on indefinite hold. Following the Ukraine crisis and American sanctions on Russia, ExxonMobil wasprohibited from working with the oil company Rosneft on a joint plan to drill in the Kara Sea in the Russian Arctic. Even had those sanctions not been in place, the low price of oil would have made such exploration a far less appetizing prospect for the moment. Hope, as the ship’s surgeon. From his diary we learn that the drive to profit trumped any concern about the possible extinction of the bowhead, or Greenland, whale. “Price tends to rise steadily for the number of the creatures is diminishing,” he wrote, “probably not more than 300 of them left alive in the whole expanse of the Greenland seas.” On another day, he added that, “[T]he creatures…own those unsailed seas.” Of course, those seas were anything but “unsailed” as commercial ships were plying them to harvest whales, so consider that instead Doyle’s euphoric expression of how it felt to him to see the life in that ocean. Today, to the extent that seas can be “owned,” governments own them and are selling pieces off to the highest bidders—oil companies. Ownership or territorial control for commercial exploitation is, however, only one side of the story of the Arctic Ocean. The magnificent and complex ecology of the northern seas is now being altered by three human-caused phenomena: climate change, ocean acidification, and pollution. Arctic sea ice is vanishing at an astonishing rate thanks to climate change, which is having devastating impacts on the region’s polar bears and walruses. In the southern Beaufort Sea of Alaska and Arctic Canada, the polar bear population declined by 40% between 2001 and 2010. Meanwhile, in six of the last eight years, tens of thousands of Pacific walruses have hauledthemselves out onto barrier islands and tundra along the Chukchi Sea because there was no sea ice left for them to rest on. Onshore, walruses are far from their food sources and young walruses are particularly susceptible to being trampled to death by the adults in the colony. Commercial whaling in the region, which started in 1848, ended by about 1921, when petroleum supplanted whale oil as the fuel of choice. 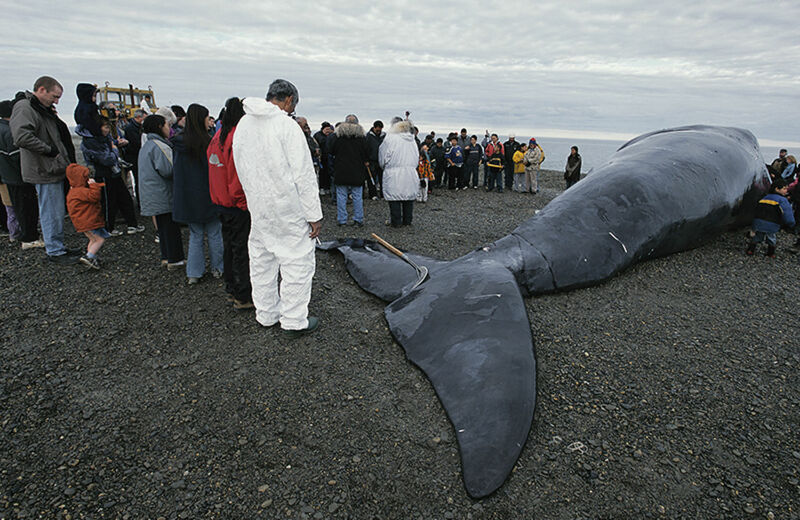 With no industrial activity in those waters for more than half a century, the bowhead population slowly began to recover. Whales don’t depend on sea ice the way polar bears and walruses do, so in 2011 the bowhead population in the US Arctic was estimated at almost 17,000 and is increasing by 3.7% per year. The half-century of commercial calm in the Beaufort and Chukchi seas ended, however, in the late 1970s, when oil exploration began. By the early 1990s, the expensive hunt for oil in Arctic seas had largely failed and almost all leases were relinquished. The second wave of US Arctic offshore oil and gas exploration only started when George W. Bush took office. Between 2003 and 2008 leases were sold on more than three million acres in the Beaufort and Chukchi seas, while generating substantial controversy and court challenges from the tribal Iñupiat peoples and environmental groups. The persistence of this resistance to drilling, along with the recent price collapse, has marked the second boom-and-bust cycle in Arctic exploration. The French company Total, for instance, simply walked away from the US Arctic in 2012 pointing out that offshore drilling there could lead to a “disaster,” and other companies have put exploration on indefinite hold—but not Shell. Historically, government-sponsored research on the US Arctic has been driven not by that hallmark of science, curiosity, but by the desire to drill for oil and gas—by, that is, two impulses that are quite unscientific in nature. The first is an oil-company-inculcated urge to transform the decision to drill into a sense of inevitability and the second is an oil-company-sponsored urge to rush the process. 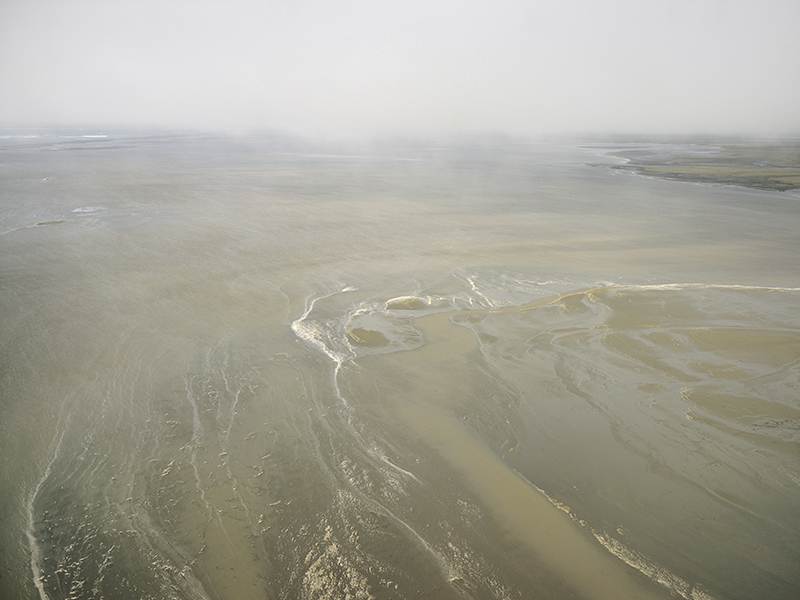 In fact, according to the National Research Council oil spill response study, systematic data collection in the Beaufort and Chukchi seas only began in the late 1970s—in other words, just as the first wave of Arctic offshore oil exploration was revving up. Onshore, the situation was the same: the initial comprehensive study of the flora and fauna of Alaska’s Arctic National Wildlife Refuge only took place in the mid-1980s, after the Reagan administration made a push to open it up to development—and (irony of ironies) the disastrous 1989 Exxon Valdez oil spill was what saved the refuge from industrial exploitation. 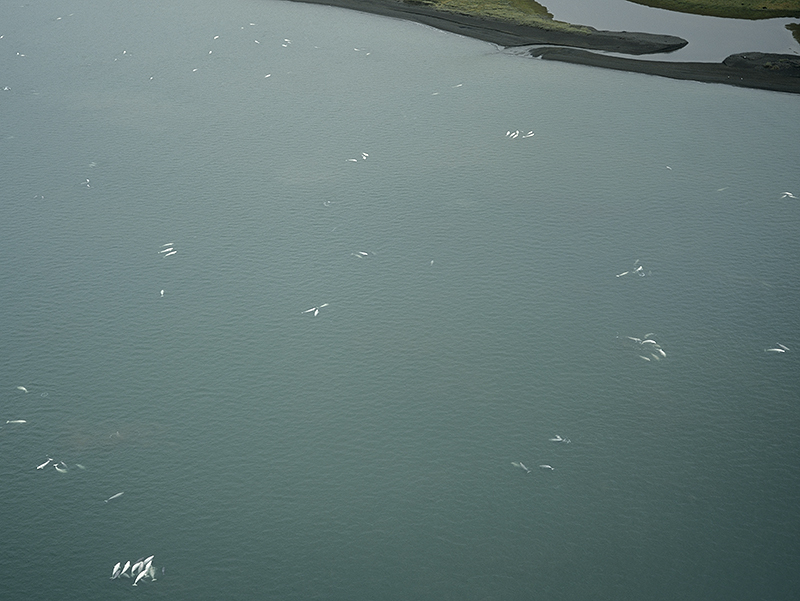 The first benchmark study of the Hanna Shoal, one of the most biologically productive spots in the Chukchi Sea, only began in early August 2012. At the end of that month, the Obama administration gave Shell a conditional permitto begin drilling in the Beaufort and Chukchi seas. In other words, Arctic science hasn’t been guiding public policy, but rushing to catch up with the extractivist agenda of Big Oil. As it turned out, the plaintiffs won twice, first in the US District Court for the District of Alaska in 2010, and then in the Ninth Circuit Court of Appeals in January 2014. 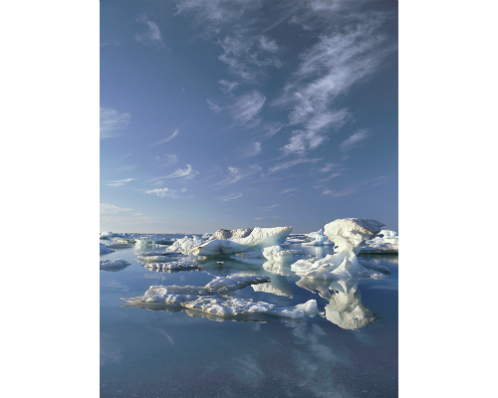 Following that ruling, the Department of Interior finally went back to the drawing board and, on October 31, 2014, released a new draft supplemental environmental impact statement that acknowledged some of the ecological realities of drilling in Arctic seas. It suggested that there would be a 75% chance of one or more large oil spills (more than 1,000 barrels) if serious drilling began there and that any such spill could have catastrophic ecological consequences. The public comment period on the draft ended on December 22nd. As part of an ongoing competition among the major oil companies, Shell is clearly trying to establish itself as quickly as possible as the dominant player in Arctic offshore drilling, just as BP did in the Gulf of Mexico—with results that we remember well from the Deepwater Horizon blowout of 2010. Nonetheless, the Gulf looks like Club Med compared to the Arctic. To let Shell drill in the Chukchi Sea when the price of oil is low and its profits slumping would be a rash act indeed, given that a company under pressure elsewhere has a tendency to cut costs and compromise safety. Shell has already set a precedent. In 2012, the company’s decision to avoid Alaskan taxes resulted in moving its drill ship Kulluk from Alaska to Washington, only to see it grounded along the way.